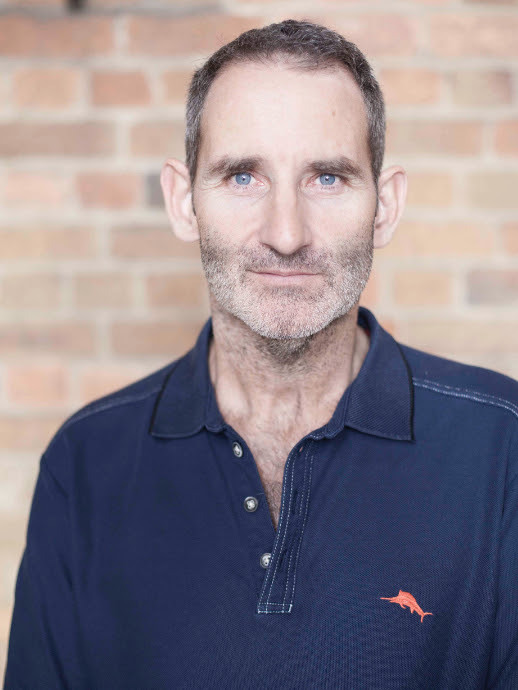 Shark Tank Australia’s Steve Baxter will be beaming in live for the opening keynote to share his insights into what makes or breaks fledgling startups in Regional Australia! With less than two weeks left to register the news keeps getting better and better here at Startup Tablelands headquarters. We’ve secured a stellar line up of speakers, mentors, judges and some awesome prizes! There are still places available from just $50 for a whole weekend of network building, co-founder dating and learning how to launch a business in just 54 hours. Hop online and register today! Don't worry about the entry fee! The tablelands business community is so interested in fostering entrepreneurship that we are pleased to announce limited need/merit based sponsorships for members of our community that need help to come for SWT. Want to learn more about one of the organisers experiences at Startup events? check out this presentation from ideas to startups. The team from Startup Tablelands believes that innovation occurs when new or existing technologies are combined with products and services to create new value for customers. All too often, this innovation is implemented incrementally by refining existing concepts to better satisfy a known market. Although the word innovation is often associated with computers and technologies, it also incorporatesthe back paddock. Australia’s agricultural sector is a world leader when it comes to research and development meaning our farmers are innovators! For the Tablelandsto increaseproductivityity, by ie investment is required into knowledge infrastructure – . This is exactly what Startup Weekend Tablelands seeks to do. A startup weekend is designed to help participants learn how to test business ideas without investing large amounts. The primary concept is to learn the fundamentals and to fail fast so that only the ideas that can be built into real solutions are developed on a firm foundation. There are at least x startup weekends happening every weekend around the world empowered by Google, Microsoft and other large sponsors. On Fri night you will meet people that have nifty ideas that they to want to develop. After a plenary by a person like you that has been able to moneytize their idea, you will have 60s to pitch your concept. Once everyone is done, there will be a vote for the top 3 ideas that should go forward. The top 6 of these will be asked to form teams but even if your idea is not in the top 6 you can form a team if you can find at least one other person to work with you. On saturday/sunday experts in customer validation, marketing, legal and accounts will come in for 30 mins sessions. The rest of the time you will need to keep progressing your idea to ready it for a 5 min Shark Tank style pitch to judges. Mentors will visit your team throughout the process and help guide you through the stages of developing your idea. Over x$ of prizes are available to winners and participants. The Hipster: Usually working their way into the mix as the designer or creative genius, they’ll make sure the final product is cooler than anything else out there. But, not only that, they’ll ensure the shade of blue used to accent the font really brings out the subtle homage to an artist from the ’70′s you’ve probably never heard of. The Hacker: The one most likely to sit quietly through a board meeting until uttering the three sentences that answers the all important question of “how?” the new idea or initiative can be brought into reality. Resembling MacGyver with their ability to wield various lines of code or programing languages, you’ll get dizzy trying to keep up with their keystrokes. The Hustler: They have the tendency to be the most misunderstood member of this trio. The Hipster is likely to accuse the Hustler of having sold out to the man because of their constant question of “It’s cool, but is it something our partners and clients want?” The Hacker is likely to do their best to avoid one on one conversations with the Hustler as a result of jock vs. geek episode back in high school. The only bad idea is an idea that is not pitched. Each team will be investing about 200 hours into the idea and this will help it develop into a viable business or fail fast without costing you your house. The next Google/Uber/AirBNB may come from the Tablelands! It’s an intensive training weekend in how to start up a business from ground zero of a Bright Idea (which you do not have to bring with you! You can learn by working on another idea or one that your team develops). Through a sophisticated and systematic but high energy and hands on learning process during this pressure cooker of a weekend, teams form around those initial ideas. The teams are taught/mentored/encouraged and led through an adventure in speedy start up business building using the latest of agile methodologies . These easy to learn business skills and models that have made fortunes for some, created profitable business for many, and helped uncountable numbers with sidelines that provide supplementary and passive income streams. By the end of 54 hours that are way more like a party than a scholarly pursuit, out pop pitches for each team. At big city SUW’s, investors turn up for the final pitches and some Startups are invested in with only 54 hours of development by a mixed team, most of whom are amateurs! Are we on our own with SUWT? Not at all! It is one of dozens of StartUp Weekend trainings occurring largely in big cities across the globe in May. ( See http://www.up.co/ ) It is one of hundreds of SUW’s that will happen in 2015. Only ours will happen in a town as small as Atherton. Is it a stand alone? NO! Startup Tablelands brings together several community groups and TRC reps who are dedicated to finding innovative ways of increasing employment opportunities as well as the spread of new business models. Your SUT team is presently seeking funding to create a longer running support program that would follow on from Startup Weekend Tablelands. Do I have to be a geek or a technophile? What if I can’t even open a computer? All are welcome! The teams that come together on Friday night and Saturday morning are encouraged to have a mix of creatives and techies and talkers, or , in SUW lingo, Hipsters, Hackers, and Hustlers. The theme of our first SUWT is Rural Innovation. Do I have to be an inventor and a farmer? No, you do not have to be either. You only have to have an interest in learning more about 21st century business, be willing to learn more about collaboration, and be curious about whether SUWT might point you in a new direction in life.